I know we have talked about statement accessories before. I personally love statement necklaces. Since acquiring my first beautiful statement necklace at Christmas from Tracy, I have purchased several others. We have also posted about statement earrings before too. While I find these beautiful, they just are not for me. With the arrival of March, Spring has unofficially begun. Here we have started off with snow and freezing weather, but the weather is looking a lot nicer this upcoming week. Spring and Summer always make me think of sunglasses. During the sunny days of Spring and Summer they are a must have accessory for me. If I am not wearing them when I leave the house, they are in bag so that I can pull them out when needed. Lately I have seen a lot of websites with very embellished sunglasses- statement sunglasses. I love these cases for sunglasses, they are so cute. I have put together a few of my favorite pairs and you can see two pairs that I would absolutely love to have here and here. Are you into statement sunglasses? While some of them would just be too much for me, I do love the moon and stars pair above. They are so beautiful. Do you like the embellished sunglasses or do you prefer the simple frames? Are sunglasses a must have accessory for you like they are for me in the Spring and Summer? Wow..these eyeglasses surely pack the style punch! Thanks for sharing! Hope you are having a wonderful day! So I'm still on the fence on how I feel about this trend. They're definitely all super cute, I'm just not sure if the added decor will look nice on my face! Loving the first photo you posted - the flowers on the edges are so cute. I was never into sunglasses before, but I totally dig these floral ornamented, cat eye glasses. Where can I find cheap ones? Also, thanks for stopping by my blog. Would you like to follow each other? I like the idea of statement sunglasses! Love the neon ones with the roses! I love this trend – at first I wasn't that into it, but now I can't get enough. I like the first pair, it's so colorful and fun! wow - these are so fun! i would love some sunglasses covered in sparkles. the floral ones here are great too. Nice blog , lovely nd beautyfull looks, do you want to follow each other, if yes let me know, greetings from Moscow! Keep in touch! I'm not actually much for statement sunglasses, but I definitely love that moon and star pair too. Not sure I'd wear them...but I might just hang them somewhere to have something fun to look at! How cool are these sunglasses, love the drama about them, they are so unique and seem really fun to wear! Love the colourful one and the pretty pair with the white flowers. These are all so adorable. :) I mainly use few basic models, but these could really spice up outfits! Great choices. I just have one pair of House of Harlow sunglasses but I love them so very much! 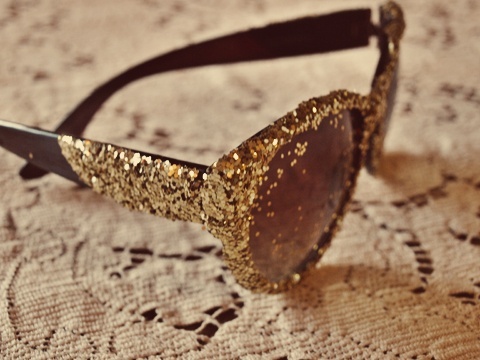 I love these glittery sunnies! The sunnies on the first picture are a masterpiece, I love them ! You picked some great sunnies! You're def making me want to bust out my collection again...maybe this summer I'll get over my phobia of breaking or losing them (which has happened countless times) because whats the use if they never see the sun!? i´m an addict to fabulous shades and you picked some really amazing pairs here i want them all, but especially those with the tropical fruits on the very first pic and well also those moon shades i need them! Thank you for your lovely comments. They really make our day. 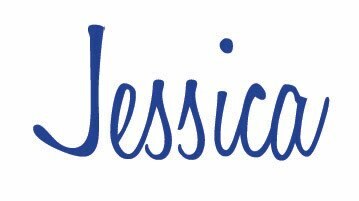 Blog Design by Delightful Designs. Powered by Blogger.